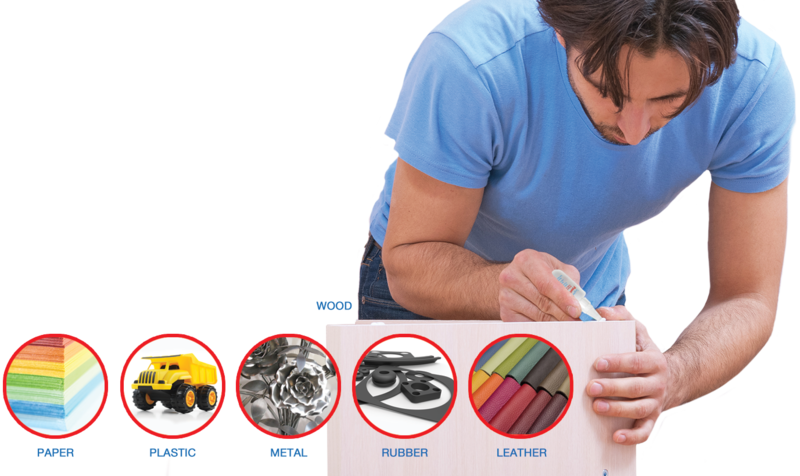 plastics, metal, wood, leather, ceramics, ferrites, stone, cork, glass and paper. are obtained and Powerbond exhibits exceptional solvent and weather resistance. Powerbond is a monocomponent system – requiring no mixing or heating. As it does not contain solvents bond shrinkage is negligible. Powerbond has a temperature range of -65 to 180 C.